Jul 11, 2015 @ 10:00 AM — by Retina Associates, P.A. At Retina Associates, P.A., we proudly use only the latest, most advanced technologies and techniques to provide our patients with eye care services of the most surpassing quality. Among the advanced procedures we provide are surgeries to treat retinal detachment. Although relatively rare, retinal detachment is a very real risk of cataract surgery, occurring in roughly 1 percent of post-operative cataract surgery patients. Retinal detachment does not necessarily occur immediately after surgery; it can happen at any point in the patient’s lifetime after cataract surgery. Our skilled retinal surgeons are able to address this most dangerous and vision-threatening of cataract surgery complications at our Kansas City practice through several surgical techniques. If you or someone you love has undergone cataract surgery and is currently experiencing any of the symptoms of retinal detachment, it is imperative that you do not delay in seeking treatment. If left untreated, retinal detachment can cause serious and permanent damage to your vision. Visit our renowned eye surgeons at Retina Associates, P.A. today. How does cataract surgery result in retinal detachment? Currently, surgeons break a cataract into fragments before removing it via suction from the eye. However, before the advent of ultrasound-assisted cataract surgery, the cataract-affected lens was removed as a single piece, including the capsule that housed the lens. With the capsule removed, the vitreous gel behind the capsule moved forward, pulling the retina along with it. This, in turn, sometimes caused the retina to tear or to become detached altogether. Some patients develop what is colloquially known as a “secondary cataract” after cataract surgery. This is not actually a cataract at all - once the eye’s lens has been removed, a cataract can no longer form - but a clouding of the remaining capsule. This condition is treated with a laser procedure called Nd:YAG posterior capsulotomy. While this procedure is simple, painless, and generally highly effective, it does increase the risk of post-surgical retinal detachment from approximately 1 percent to approximately 2 percent. If you notice any of these changes in your vision, do not hesitate to contact our practice. 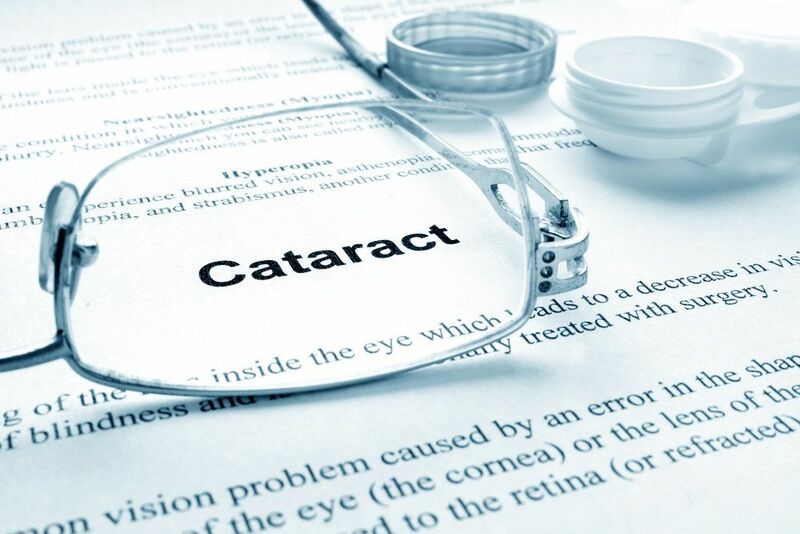 Do not assume that these are normal side effects of cataract surgery and that your vision will improve with time. The key to treating retinal detachment is to take timely action against it. The longer you delay in seeking treatment, the more likely your vision will sustain permanent and serious damage. To learn more about treatment for cataract surgery complications, please contact Retina Associates, P.A. today.